The 200 day moving average is another very important moving average because it is observed by almost all traders. Whether a stock is above or below its 200 MA brings great significance. Most traders and investors will rarely touch a stock that is below its 200 MA. Before you continue, do take a read of the article how to use the moving average to analyze stocks if you haven't read it. 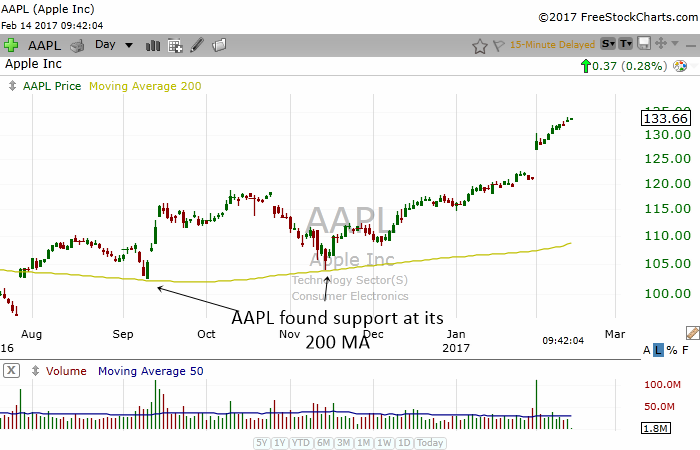 Surprisingly, the 200 MA can act as a very good support. Since this moving average is watched by so many people, it sometimes can be a self fulfilling prophecy. 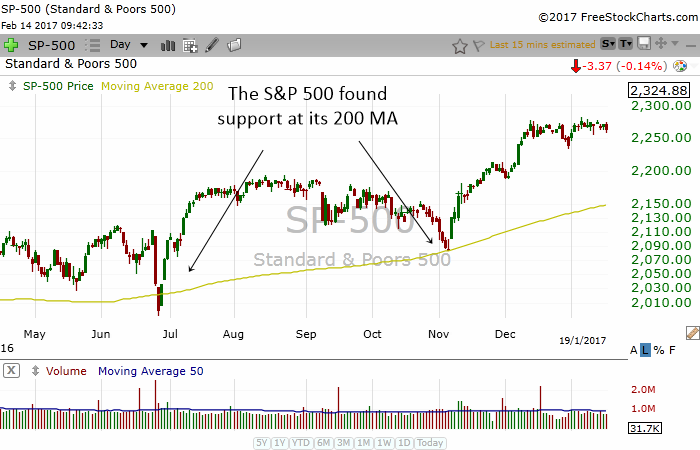 Stocks tend to bounce off the 200 MA. 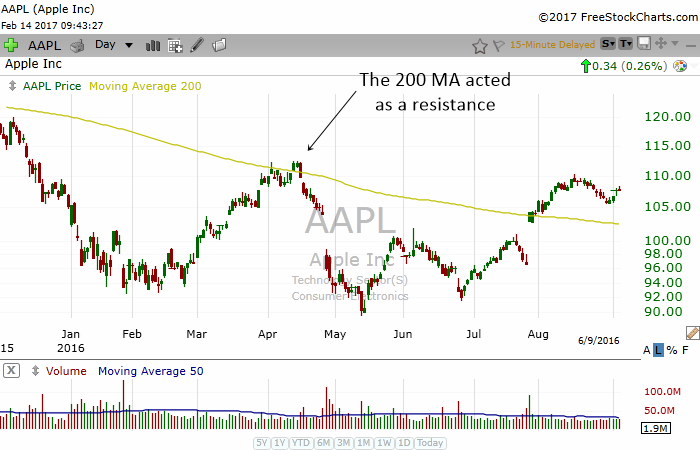 The 200 MA can also act as a resistance. A stock tends to find it difficult to rise above a declining 200 MA. The next time you see a stock approaching its 200 MA, take note. You might find it reverse when it hits the 200 MA. Some traders even create trading strategies which employ the 200 MA.